Every time an individual player retires a character, that player gains one extra perk to apply to all future characters they create. This effect is cumulative, so when a player retires their second character, their next character would gain two additional perks. Though this effect is applied to players, if one player is controlling multiple characters at once in a campaign (like for solo play, for instance), they should consider each "hand" they control a different player for this bonus. The "b" sides of the "L" and "D" tiles are misprinted and have their art rotated by 180 degrees in relation to their puzzle piece connections when compared to the images in the scenario book and random dungeon deck. When setting up these tiles, make sure their puzzle connection orientation is correct and don't use the art as a reference. Component count typos: The component list in the front of the rule book should say there are 28 "1" damage counters, 240 monster standees and 3 sealed envelopes. Also, there is no smaller envelope with a sun icon on it, as depicted in the picture. Typo in special conditions for opening envelopes: The second item should read "The Drake's Command" instead of "The Drake's Request". When you achieve this goal, you earn "The Drake Aided" global achievement. Also, it is optional to open the envelope and earn the achievement, but once it is done, it is permanent. The curse deck is split into two equal decks of 10 cards each. One deck is exclusively for putting curse cards into the players' attack modifier decks, and the other is exclusively for putting curse cards into the monsters' attack modifier deck. So no single attack modifier deck can ever have more than 10 curse cards in it. 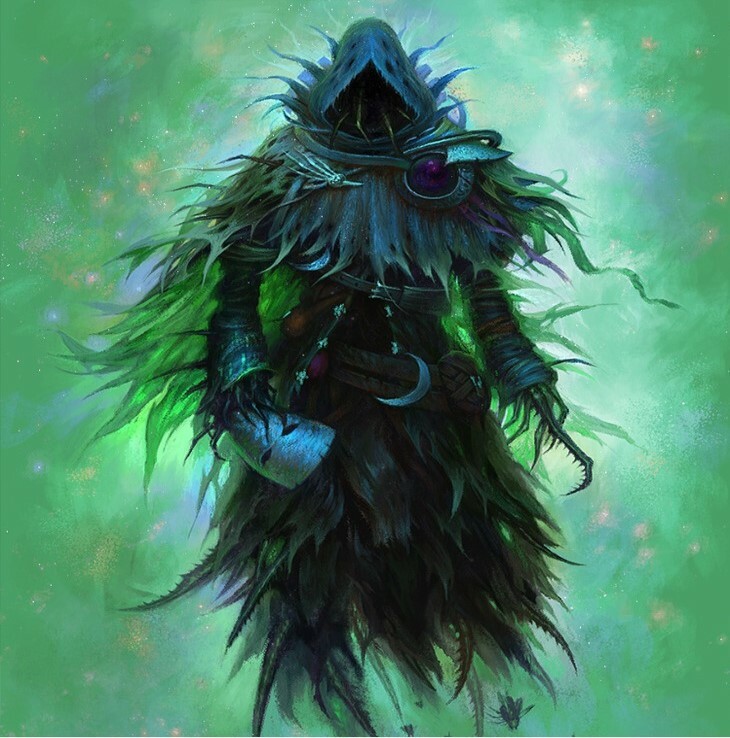 When a curse card is removed from a player's attack modifier deck, it is returned to the player curse card deck, and a curse card removed from the monster attack modifier deck is returned to the monster curse card deck. If curses are distributed at the beginning of a scenario, distribute them as evenly as possible to all those affected, with players deciding cases of ambiguity. Can I Say X Or Y At The Beginning Of The Round When Choosing My Cards? As long as you avoid specific numerical values and card titles, you can say whatever you want. Can I Play A Card Just For The Experience? You have to perform at least one part of the action on the card to gain the experience. If it just says "Attack", you have to attack an enemy to get the experience. If it has "Attack" and "Move", however, you can just move and not attack and still get the experience. A larger experience symbol sitting on its own on an action is not meant to be tied to any specific ability in the action. Can I Choose Not To Gain The Experience From Using An Action? No, experience is not optional. If I Am Level 9, Can I Still Earn Experience? You can still track experience when you are level 9 as a metric for how well you are doing in the scenario, but experience no longer gives you any long-term benefits. Can I Choose To Not Perform Specific Parts Of An Action And What Is Considered A Negative Effect? Negative effects: Effects that when performed will (not may) reduce hit points, lose cards, or apply a negative condition to yourself or an ally. Stand alone infusions (i.e. not attached to a specific ability). Note that infusions gained from modifier cards are considered attached to the attack so they can be skipped. Also, at least one ability on the action must be performed in order to gain the Infusion. XP granting abilities, whether stand alone or attached to another ability. If stand alone, at least one ability on the action must be performed in order to gain the XP. +/- X ability adjustments from modifier cards. You cannot change the order of the abilities in the action, though. Can I Decide Not To Loot Money Or Treasure Tiles In My Hex At The End Of My Turn? End-of-turn looting is not optional. If there are money or treasure tiles in your hex at the end of your turn, you have to loot them. Are There Restrictions On What I Can Loot With A Loot Ability In Regards To Line-of-sight Or Obstacles? The specific mechanics are that you can loot all hexes within range X of you, where X refers to "Loot X". This means that if you can target the hex with an attack in that range, you can loot the hex. This means loot is unaffected by monsters or obstacles, but is affected by line-of-sight. Any Enemy Or Scenario Effect Forces Me Onto A Hex With Loot, Can I Automatically Pick It Up, Like End-of-turn Looting? No, end-of-turn looting happens only at the end of your turn. You cannot automatically pick up loot at any other time. If I Loot, Say, An Armor Item From A Treasure Tile And I Am Already Wearing Armor, What Happens? You can own any number of items (but only one copy of each). It is not limited only to what you can equip. So when you find armor in a chest and already have armor, you still get to keep the armor you got, you just won't be able to equip it until next scenario. Actually, since you can only equip items in between scenarios, even if you weren't wearing armor, you'd still have to wait to equip the armor you just got. So What If I Loot An Item I Already Had A Copy Of? In this case, you would immediately gain the sell value of the item you looted (half the buy value), and place that copy of the item in the city's available supply of items if it was not already there. If I Play A Card For Its Basic Action, But The Corresponding Action On The Card Has The Lose Symbol, Do I Still Lose The Card? No, only if you perform that specific action text does the lose symbol take effect. If I Recover Cards During My Second Action, Can I Recover The Card I Just Played With My First Action? Yes. As soon as a card is used, it is placed in the appropriate pile, so if your first card played is lost, you could recover it with your second card if it allows for such. What Is The Designation Of Cards In My Active Area? Are they considered in my hand or in their own class or what? Cards in your active area are technically considered discarded or lost (depending on whether there was a lost symbol on the action you played to put them there), even when they are in your active area. When you recover discard cards (by resting, for example) or lost cards (through special actions), you have the choice of picking up corresponding cards in your active area or leaving them in play. This also means they are not in your hand and cannot be put in your lost pile to negate damage (unless you are move two discards to your lost pile, as per the normal rules). If I Consume An Element In The Strong Column, Does It Go Down To Waning Or All The Way Down To Inert? Whenever an element is consumed, it always moves down to inert, no matter where it started. Can You Explain The Timing Of Elemental Infusions? Yes, the main take-away here is that any elements you create on your turn do not get moved to the strong column until the end of your turn. This means that you cannot create an element (that wasn't already present) and then consume it on the same turn because it won't be available to be consumed until the end of your turn. On the up side, this also means that if an element is already strong or waning at the start of your turn, you can create the element again with your first action, consume the existing element with your second action, and then the element will still go up to strong at the end of your turn even though you just used it. Is There Any Difference Between An Attack Effect (elemental Infusion, Negative Condition, Etc). Caused By Attack Modifier, An Item Card, Or One Printed On The Ability Card Itself? No, whether an attack effect is added by a modifier card, an item card or the ability card itself, it functions exactly the same. When I Do A Long Rest, When Do The Effects (healing, Getting Your Discards Back, Refreshing Spent Items) Take Place? Your full rest happens on initiative 99, so you have to wait until the end of the round to gain the effects. Absolutely. You can stick around for one more round as a meat shield. Also consider the following question. If I Long Rest, Do My Summons Still Get A Turn During The Round? Yes, they will act directly before initiative 99 as normal. Do Summons Perform End-of-turn Looting? No, only characters perform end of turn looting. If A Summon Has A "-" For Its Move Or Attack, Can I Grant It Move Or Attack Actions, Respectively? It depends. The "-" means that it has no base for that stat. So you cant' grant an "Attack +2" action to a summon with a "-", as that is a modifier to an undefined base, but you can grant it an "Attack 2" action, as that sets the base. The same applies to movement. Also note that summons (or monsters) with "-" movement can still be pushed and pulled. If I Long Rest, Do I Still Technically Have A Turn For The Round? Yes, on initiative 99, you perform the effects of the long rest, and it is considered a turn, so you can still use items or do other things you would normally be able to do on your turn (unless you are stunned, in which case you are only allowed to perform the effects of the long rest). What's The Difference Between An Attack And An Attack Action? And attack is a single attack on a single target that flips over a single attack modifier card. And attack action constitutes all the attacks made with a specific action (entire top or bottom half of an ability card). If your attack action is, say, "Attack 3", then there is only one attack in your attack action. If it is "Attack 2, Target 3", then your attack action consists of three separate attacks. If An Ability Allows Me To "kill" An Enemy, Is That Considered An Attack? No, unless the ability says "attack", it is not an attack. What If I Consume An Element To Turn An Attack Action Into A Kill Action? So long as you consume the element and trigger only the kill effect, the word "instead" negates the attack, and it is no longer an attack. If I Kill An Enemy With My Attack Damage, Can I Still Apply The Effects Of The Attack (i.e., Curse, Push, Etc).? No, added attack effects are always applied after the damage. If you kill an enemy with the damage, then it is no longer around to be pushed onto a trap or cursed. Do I Have To Push Or Pull The Full Amount? Like any added effect, you can choose not to apply it, but if you do, you have to use the full push or pull effect. The only time the full push or pull may not go into effect is if there are obstacles or figures in the way and you may chose a blocked direction even if an unblocked one is available (note, however, that you can push or pull enemies through other enemy figures, they just can't end the movement in the same hex). Also keep in mind that if multiple push or pull effects are applied with the same ability (due to attack modifier cards), you can choose to apply or not apply them separately (e.g. if your ability applied a "push 1", and your attack modifier card applied a "push 1", you could decide to push 0, 1 or 2 since they are separate effects). Can I Target Allies With Push/pull Abilities? No, allies cannot be targeted at all, even if the ability isn't an Attack. Can Flying Monsters Be Pushed Into Traps? The can be pushed into hexes with traps, but doing so will not trigger the traps. If An Enemy Dies From Trap Damage, Who Gets Credit For The Kill? The credit goes to whomever causes the trap to be sprung, not the whomever who made it. If the enemy moves onto a trap on its own, no one would get the credit. If An Enemy Dies From Wound, Who Gets Credit For The Kill? If I End My Turn On A Hex With Hazardous Terrain, Do I Take Any Additional Damage? No, you only take damage when you enter the hex. When Exactly Does Retaliate Trigger? Retaliate triggers after all effects of an attack have been applied. If the retaliating figure dies from the attack, the retaliate does not trigger because the figure is removed from the board beforehand. If the retaliating figure is pushed out of the range of its retaliate, it also does not trigger. However, if it is pulled into retaliate range, it would trigger. Is Retaliation Targeted? If I Am Invisible, Can Monsters Still Retaliate Against Me? Retaliation is not targeted, so it is unaffected by invisibility. You can still be retaliated against while invisible. Can I Hit My Allies With Area Attacks? No, unless the action specifically states that you do. An area effect ability shows you the hexes that you can target with an attack, and you cannot target allies with attacks under any circumstances, so, in general, allies are safe from your abilities. 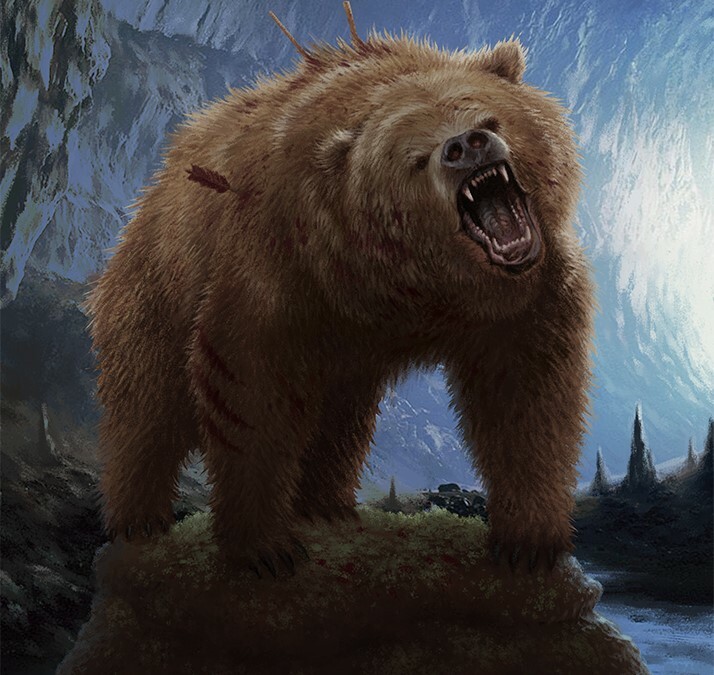 Certain classes (the Cragheart, for example), however, have abilities that specifically state that allies in certain situations suffer damage or gain negative conditions, but these cases are clearly stated on the ability cards. What Are The Line-of-sight Rules? Line-of-sight is necessary for all attacks (including every hex of an area attack) and all other abilities that specify a range (including looting, which technically has a range). Any non-attack ability that does not specify a range does not require line-of-sight. Can I Target Empty Hexes With An Area Attack? While you are not technically "targeting" the empty hex, the hex of an area attack that is within the range specified by the attack can be empty. It can even be a wall, so long as there are enemies in the attack area that are in your line-of-sight. Are There Any Line Of Sight Or Adjacency Restrictions On What I Can Target With A Melee Area Attack (area Attack Containing A Grey Hex)? The only restriction, as above, is that you have to have line of sight on a figure to target it with an attack. Other than that, if the hex is in the configuration shown on the card, you can attack it. If My Area Of Effect For An Attack Is Chiral (not Equal To Its Mirror Image) Can I Use The Mirror Image Of The Area Instead? Yes, in addition to applying any rotation to an area of effect, you can also use the mirror image of the area. How Does Add Target Interact With Area Attacks? Add Target always adds a single extra target within the range of your attack to the attack, and this target cannot be an enemy already targeted by the attack (a single attack ability cannot target the same enemy multiple times). So if you got an Add Target effect on an area attack, you could pick one enemy within range but outside of the area (because all enemies in the area are already getting attacked) to get hit by the attack as well. All conditions and other effects of the attack (other than effects that would add additional attack targets) would apply to the added target, as well. Each instance of the Add Target effect adds an additional target to the attack using the above guidelines. Note that if an attack ability targets everything within a specified range, Add Target would do nothing since you are already targeting everything in that range. If I Take One Point Of Damage From An Attack And Have Multiple Abilities (from Ability Cards Or Items) Which Give Me Shield When Taking Damage From An Attack, Do I Have To Use All Of Them? No. You can choose which Shield bonus to apply in this case, and once the damage is reduced to zero, it is no longer a source of damage, so any other bonuses do not have to be used. What Exactly Is Considered Using An Item? Any instance of you applying the effects of an item card to a situation is considered a use. When Exactly Can I Use An Item? Can I Use It In The Middle Of A Movement Or Other Ability? You can use an item pretty much whenever you want, within the restrictions of what is written on the item card. So if it says "on your turn", use it any time you want on your turn, including during a movement or after you have taken all your actions. The only restriction is that if an item affects an attack (e.g. adds a bonus, adds an effect, adds advantage or disadvantage), it has to be used before an attack modifier is drawn. Is There Any Limitation To The Number Of Items I Can Use On My Turn Or Even During The Same Ability? If I Apply Poison With My Attack, Does It Immediately Give Me +1 On The Attack? No. All added effects of an attack are only applied after the amount of damage is resolved. The one exception to this is PIERCE, which is applied at the same time as the damage. If I Have Both The Wound And Poison Conditions And Am Healed, What Happens? Both conditions are removed and no actual healing takes place. Does A Long Rest Cure Wound And Poison? Does Drinking A Potion Cure Wound And Poison? Yes, these are both considered "Heal" effects and thus interact with WOUND and POISON like other "Heal" abilities. If A Heal Or Other Beneficial Ability Specifies A Range, Can I Target Myself? How Do The Heal Rolling Modifier Cards Work? Any time a "Heal" attack modifier card is resolved, the figure who flipped it heals the amount specified. This heal can remove wound and poison like any other heal. If I Get Stunned Before I Have A Chance To Play My Cards For The Round, Do I Have To Discard Them, Or Can I Take Them Back And Do A Full Rest? You have to discard them. All added effects (negative conditions, elements, healing, etc). have a positive but undefined value. Is It Ever Possible To Do Damage With An Attack After The "no Damage" Attack Modifier Card Takes Effect? No. If this card is applied to your attack, you do no direct damage with the attack under any circumstances. If A Condition Lasts Until The End Of My Next Turn, What Exactly Does "next Turn" Mean? "Next turn" means your next full turn. So if you start a turn with the condition in effect, then at the end of that turn, it is removed. If a monster stuns you on its turn, then your next turn (whether that happens in the current round or the following round) you would be under the effect of stun, and then it would go away at the end of that turn. If you manage to get stunned on your own turn, you would immediately suffer the effects, then you would also suffer from the effects on your following turn in the following round before the effect wore off at the end of that turn. This also applies to conditions on monsters. Can I Voluntarily End Positive Conditions On Myself Like Strengthen And Invisible? Am I An Ally Of Myself? If I Draw Two 'heal Self' Rolling Modifiers In The Same Attack, Is One Heal Performed Or Two? Heals from rolling modifiers stack into a single Heal. Are Abilities That Target A Single Figure With An Attack But Damage Additional Figures Via Other Non-attack Effects (like Suffer Damage) Still Considered Single Target Attacks? Can You Perform A Move X Ability But Do 0 Move? Do Persistent Cards That Trigger "at The End Of Your Next X Turns" Also Trigger At The End Of The Current Turn? Should Curses And Blesses Be Removed From A Player's Modifier Deck Immediately When Becoming Exhausted So That Other Players And Monsters Can Use Them? As per the rules, they are not removed until the end of the scenario. What Is The Difference Between "ability +x" Vs "ability X" Character Ability Cards Granting Other Figures Extra Actions? "Ability +X" makes an adjustment to an existing ability while "Ability X" grants the figure a new ability. What Happens If A Figure Is Poisoned And A "heal All" Ability Is Used On It? The heal ability is treated just like other heal abilities, so the poison is removed but no damage is healed. Can You Use A Heal Ability On A Figure That Is Already At Full Health? Can You Perform An Elemental Infusion Or A Gain Xp, Either Of Which Are Printed As Stand-alone Segments Of An Action, By Itself Without Doing Another Ability Of The Action? No. This also applies to the lost card symbol. You must perform some ability of the action to actually lose the card. When A Multi Target Attack Has A Gain Xp Effect, Do I Get Xp For Each Target? Only if the card specifically says so. Can A Figure Still Perform Actions Prevented By Immobilize And Stun Even If Those Actions Are Granted To The Figure Outside Their Turn? No. The "on their turn" phrase listed in the condition section of the rule book should not be there. When Is An Ability Considered A "targeted" Ability? When the card says "Target" or "Attack". How Does Stun Work With Persistent Effects And Passive Items? Stun does not affect them, they function normally. Can I Use Items Outside Of My Turn? Only if the item is used as a reaction to an enemy action. Otherwise, items cannot be used unless it is your turn. Does Overkill Damage Count For Abilities That Say "amount Of Damage Inflicted"? Can You Do A Short Rest In The Last Round Of A Scenario? When Summons Attack Obstacles, What Initiative Value Do The Obstacles Have When Resolving Tie-breakers For Monster Focus? Obstacles have 99 initiative for resolving focus ties. What Exactly Is The Timing Of A Figure's Turn? A figure's turn starts when the previous figure ends their turn and ends when the next figure begins theirs. What Happens When A Figure Becomes Immune To A Condition That It Already Has? The condition is removed. Note this does not apply to Curse and Bless. Those immunities prevent the card from entering the modifier deck; they do not prevent existing curse/bless cards from being drawn and applying their effect. I'm Just Confused About Focus. Can You Explain It? Finding a focus for a monster can be tricky in certain circumstances, but it follows some very basic rules. First of all, is the monster performing an attack on the ability card it drew? If not, pretend as if it is performing a melee attack (i.e. it wants to be adjacent to an enemy). Next, find the minimum distance it needs to move to get within range (and line-of-sight) to attack an enemy. It doesn't matter if the monster can't get within range with the movement it has, as long as there is a path to eventually get within range, it will still consider this path the optimal path. The enemy/enemies that are within range (and line-of-sight) at the end of this shortest path are considered the "closest". Side note on negative hexes (traps or hazardous terrain): negative hexes are considered obstacles when determining this path unless there is no path except through the negative hexes. The path can be ten steps long if the enemy avoids the negative hex and two steps long if it goes through the negative hex, it will still choose the ten-step path as long as it is available. Basically, monsters will move through as few negative hexes as possible. In the case where the monster can move the same number of spaces to get within range (and line-of-sight) of multiple enemies (either because it starts its turn within range or multiple enemies or through some other situation), proximity (i.e. number of hexes they are away, not counting through walls) is then checked as a tie-breaker for "closest". Okay, now, if there is only one closest enemy within range at the end of that path, that is the monster's focus. If there are multiple closest enemies within range (and line-of-sight), the focus is the enemy among those tied who has the lower initiative for the round. Note that there may be some cases where a monster can't find a focus at all. In order to obtain focus on an enemy, there must be an unblocked path to an open hex where it could eventually move to and target the enemy. If an enemy can't find a focus, it doesn't move or attack on its turn and just performs any other abilities written on its card. Can You Explain In More Detail How Monsters Interact With Invisible Characters? Invisibility works the same regardless of whether it is an invisible character or an invisible monster. Monsters can't focus on invisible characters, move through them (unless flying or jumping), or target them with any attacks or other targeted abilities (an ability like "CURSE, target all enemies within range", for instance, wouldn't affect the invisible character even if he/she were in range). Monsters essentially treat invisible characters like obstacles, but may occasionally affect them with non-target effects (such as splash damage). Once again, however, an invisible character will never be focused on by a monster. Invisibility can create an edge-case where a monster is unable to find a focus, either because all of its enemies are invisible, or an invisible character is standing in a door or some other one-hex passageway to prevent a monster from finding any viable path to get within range of an enemy. Blocking a passageway like this doesn't always result in not finding focus. Flying or jumping enemies can ignore the obstacle (invisible character), and ranged enemies may still be able over it, depending on the value of their range and the positions of the other characters. If A Monster Can't Get Within Range To Attack With Its Movement, Will It Still Move Closer? Will A Monster Move Away From A Character If It Is Adjacent And Is Performing A Ranged Attack? Yes, as a general rule, monsters move a minimum amount to maximize their attack, so they will move one hex away to lose disadvantage. If A Monster Ability Card Doesn't Specify An "attack" Or "move" Ability, Do They Still Perform That Ability? No. Monsters only do what is written on their card for that round. If An Ability Card For A Monster That Normally Has Range Shows A Hex Configuration With A Grey Hex (normally Signifying A Melee Attack), Is This Attack Still Considered Ranged? No, in this case, it would perform a melee attack. If A Monster Is Disarmed, Will It Move As If It Has An Attack? No, disarm negates all effects of having an attack. A monster will move as though it doesn't have an attack, which means it will just try to get as close as possible to its focus. If A Monster Has Bonuses Like "shield" Or "retaliate" On Their Ability Card, Is That Active For The Whole Round? No, bonuses only become active once the monster takes their turn based on the initiative on the ability card. It then lasts until the end of the round, where it will either get shuffled back into the deck or replaced with the next round's ability card. How Are These Bonuses Affected By Stunning A Monster? Note that the bonuses are not simply given by the monster ability card. Monsters would have to perform a "Shield 1" action to gain the Shield 1, so these bonuses only activate if a monster is not stunned on its turn. When A Monster Type Activates, Do They All Go On The Same Turn, Or Does Each Individual Monster Have A Separate Turn? Each individual monster has a separate turn. If A Monster Type Consumes An Element Due To Its Ability Card, Does Only The First Monster Who Acts Gain The Effect Or All The Monsters? When monsters consume an element, all monsters of that type gain the benefit when they activate. If Two Different Monster Types Reveal The Same Initiative On Different Ability Cards, Which One Goes First? How Do You Distinguish Between Summoned Enemies And Other Enemies (since Summoned Enemies Don't Drop Money Tokens)? You can place extra scenario tokens (grey circles) on summoned enemies if you have difficulty keeping track. When Something That Summons Monsters Dies, Do The Monsters It Summoned Die Too? If A Boss Is Immune To Curse, What Happens If It Draws A Curse Card? The card affects the boss normally (i.e. the boss does no damage). Note that it is only immune to the condition, which is the act of shuffling the CURSE card into the deck. No, bosses are their own class of monster and are thus unaffected by abilities that target normal or elite monsters. Also note that named monsters specified in the scenario book are their own class of monster as well. Are Obstacles With Hit Points Considered Enemies? Can They Poisoned, Wounded, Etc.? Obstacles with hit points are technically considered enemies for all ability purposes, but they are immune to all negative conditions. If A Door Is Closed Due To Specific Scenario Rules, What Happens If Revealed Monsters Are Stuck In A Room With No Enemies To Attack? Closed doors behave like walls. The monsters are still revealed, so they would still play a card at the beginning of each round, but, until the door is opened, they wouldn't be able to find a focus, and so would not move or attack and just perform any other abilities on their card, as per the normal rules. 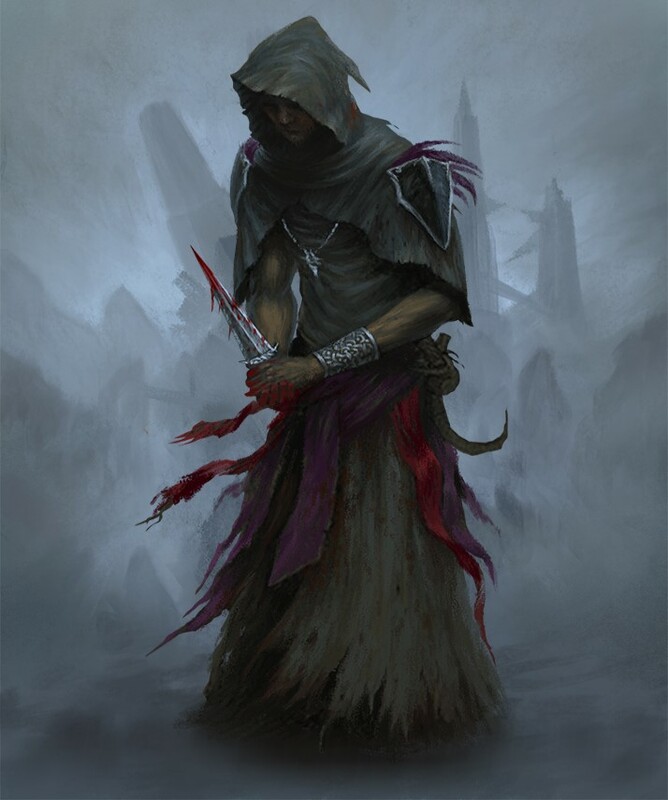 Do Negative Conditions From Monster Ability Cards Stack With Traits Of The Same Negative Condition (ex: Monster Has Curse Trait For Every Attack And Draws An Ability With A Curse As Well)? What Happens If A Flying Monster Is Over A Stun Trap And Another Monster Attempts To Move Over That Stun Trap? A figure cannot end their turn in the same hex as another figure so treat the flying monster as an obstacle when determining the non-flying monster's movement. If A Monster Ability Card Lists A Melee Attack (like "adjacent Enemies" Effects) But The Monster Stat Card Specifies A Range X, Is The Attack Melee Or Ranged? It is melee, the monster ability card takes precedence. When A Monster Is Controlled By A Character, Is It Considered An Ally Or An Enemy Of Other Monster While It Is Being Controlled? When I Level Up, Does My Experience Go Back To Zero? How Exactly Does My "pool" Of Ability Cards Work? What Can I Add To It When I Level Up? Your pool of ability cards is the set of cards you can choose to add to your hand when you start a scenario. The cards in your hand are the cards you actually play the scenario with and their number is limited based on the class you are playing. When you are starting out with a level 1 character, your pool consists of all level 1 cards, plus the three "X" cards in your deck as well. All other cards are unavailable to you. When you level up, you can take a single card of your new level or lower from the deck of unavailable cards and add it to your pool. In this manner, a level 9 character will add eight more cards to their pool over the course of leveling up from level 1. If A Perk On A Character Sheet Has Multiple Check Boxes Next To It, Does That Mean It Requires That Number Of Check Marks To Unlock It, Or That I Can Acquire That Perk For One Check That Number Of Times? The second case. If a perk has two check boxes, you can gain that perk twice for one perk allocation each. Can I Choose Not To Level Up When I Have The Experience Or Not Gain A Perk When I Have Three Check Marks? No. If you are in town and you have enough experience to level up, you are forced to do so, immediately gaining all benefits of leveling up. If you have three check marks, you must immediately gain a perk. If I Lose A Check Mark, Can That Make Me Lose A Perk? No. You cannot go below the threshold of a perk, experience level, or prosperity level when losing check marks, experience, or prosperity, respectively. So if you have three check marks (enough to gain a perk), and then lose a check mark, nothing happens. You don't lose a perk, and you don't go into check mark debt. If We Fail A Scenario, Can We Immediately Retry It? Yes, your party location is still considered to be at that scenario, so you can fully recover hit points, cards, etc. and immediately do the scenario again without doing a road event, or you can return to town or do another scenario, but that may necessitate a road event before starting a scenario depending on the linking rules. Do I Do A Road Event When Traveling Back To Gloomhaven From A Scenario? No, you only do a road event when traveling to a scenario. If The Party Wants To Go Directly To A Linked Scenario But Wants To Swap Out Characters In Between, Does The Party Have To Go Back To Gloomhaven, Thereby Forcing Them To Take A Road Event Before The Linked Scenario? 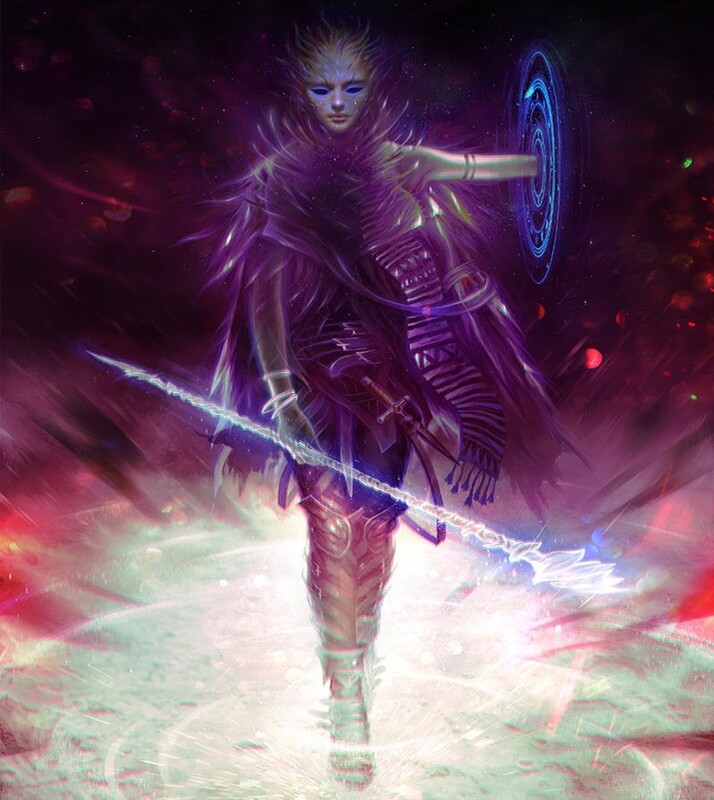 If the character being swapped in has already been created, then you don't have to go back to Gloomhaven, but if you want to swap in a character that hasn't been created yet, you would have to return to Gloomhaven to create it. Do I Get The Money And Treasure Tiles Left On The Ground When I Finish A Scenario? No, all loot left on the ground is lost once the scenario is over. You have to pick it up during the scenario. If you want the treasure tiles that you weren't able to pick up, you will have to play through the scenario again. How Do I Track Lost Prosperity? Note it next to the prosperity track and then scratch out the note the next time you gain prosperity. Do I Keep My Personal Quest Secret? There's not an official rule on this, so do whatever you want. I like to keep mine secret. Which Event Rewards/penalties Affect A Single Character And Which Affect All Characters? If a result starts with "Gain", "Lose", "Discard", or "Consume", the result is distributed among all characters however they choose if the word "collective" is included (i.e. "Lose 10 collective gold". means that the party loses 10 gold total). The result affects each character separately if the word "each" is included (i.e. "Lose 10 gold each". means that a party of 4 would lose 40 gold total). The exception to this is if the result is gaining an item. In that case, only one character gets the item (decided among the players). If a result contains "Start scenario with.".. it affects all players, unless it says "One starts scenario with.".. in which case it only affects one player. There are a few cards with typos where the "collective" or "each" is not included (see below). As a rule of thumb, if something is missing, assume it says "each". TYPO - City Event 04: "Lose 1 check". should read "Lose 1 check each". TYPO - City Event 06: "Gain 5 experience". should read "Gain 5 experience each". TYPO - City Event 22: "Gain 1 check". should read "Gain 1 check each". TYPO - City Event 46: "Lose 5 gold". should read "Lose 5 gold each". Which Treasure Tile Rewards/penalties Affect A Single Character And Which Affect All Characters? All treasure results (with the following two exceptions) affect only the character that loots the treasure tile. The exceptions are the "Random Side Scenario" reward, which unlocks a new scenario for the entire campaign, and the "Random Item Design" reward, which places a set of items in the shop for anyone in the campaign to purchase. For The Bless And Strengthen Enhancements, What Abilities Count As Targeting Allies Or Yourself? If an ability has a targeting qualification below it (e.g. "Self" or "Affect all allies at X range" or simply "Range X"), and it is a beneficial ability, then you can enhance it with Bless/Strengthen (as long as it has a dot, of course). A "Move" ability does not count as targeting yourself. If I Play A Random Dungeon From The Random Dungeon Deck, Do They Trigger Road Events And City Events Like Normal Scenarios? No. Random dungeons will not progress the campaign in any way. This means they do not trigger road or city events, unlock new scenarios, gain town prosperity or anything else that would impact the campaign world. They can, however, help with character progression, in the form of experience, gold, checks, and personal quests. If A Scenario's Requirements Have An Achievement Listed As "incomplete", What Does That Mean? It means that you can only play that scenario in campaign mode if you do not have the listed achievement. 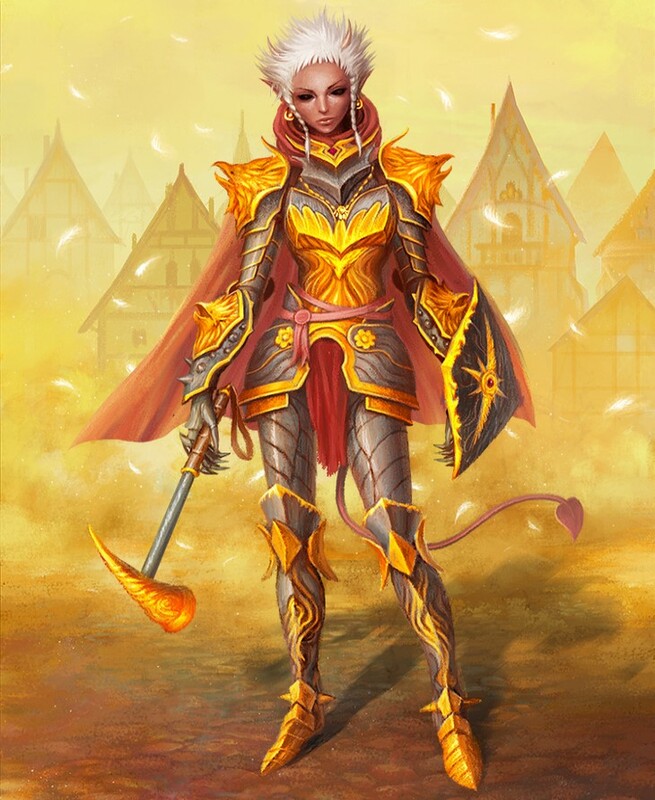 If A Scenario Is Actually In The Town Of Gloomhaven, Would Interacting With The Town Both Before And After The Scenario Be Considered Separate Visits (for The Purposes Of Donating To The Sanctuary And City Events)? Yes. Do I Have To Win A Scenario To Complete It? If I Loot A "goal" Treasure Tile In A Scenario And Then Go Back To Do The Scenario Again, Is The Treasure Tile Still Looted? No, unlike numbered treasure tiles, "goal" treasure tiles are reset at the end of every scenario and must be looted again. If I Unlock A Character Class Through Means Other Than Retirement And It Is Already Unlocked, Do I Still Get The Bonus Of A Random Scenario And Item Design? Yes. No matter how a character class is unlocked, if you trigger the unlock and it is already unlocked, you gain the bonus of a random scenario and item design. How Are Sanctuary Donations And City Events Handled When Playing Scenarios In Casual Mode? Sanctuary donations and city events can only be done if the last scenario played was in campaign mode. 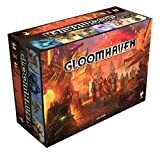 What Scenarios Are Considered To Be Inside Gloomhaven? Any scenario marked on the zoomed-in inset in the top right of the map is considered to be in Gloomhaven (even 58 and 86). What Scenarios Are Considered To Be Inside The Dagger Forest? 3, 28, 29, 38, 43, 44, 48, 55, 56, 59, 81, and 91. What Scenarios Are Considered To Be Inside The Lingering Swamp? 19, 32, 45, 49, 61, 62, 68, and 79. What Scenarios Are Considered To Be Inside The Watcher Mountains? 9, 13, 63, 65, 73, 76, 80, 82, and 85. What Scenarios Are Considered To Be Inside The Copperneck Mountains? , 14, 15, 16, 24, 25, 33, 34, 39, 40, 41, 42, 46, 54, 66, and 84. What Scenarios Are Considered To Be Inside The Misty Sea? 17, 30, 37, 47, 64, 70, 74, and 93. What Scenarios Are Considered To Be Crypts? Any scenario with "crypt" in the title. 4, 5, 6, 19, and 53. If I Have To Kill A Certain Number Of Something, Do I Have To Land The Killing Blow? Yes. You also get credit for kills if your summon lands the killing blow. If I Fulfill The Conditions Of My Personal Quest And Then Do Something So That They Are No Longer Fulfilled, Do I Still Retire? No, you must be fulfilling the conditions of your personal quest at the time you retire. For Quest Cards 510, 513, 521, 526, And 529, I Have To Fulfill Some Condition And Then Unlock A Scenario. Does The Scenario Unlock Automatically Once The Condition Is Fulfilled Or Do I Have To Do Something Else To Unlock It? The scenario is unlocked when you fulfill the condition. You don't need to do anything else to unlock it. For Quest Cards 510, 521, 522, 526, 528, And 529, Do These Have To Be Different Scenarios? For Quest Card 514, Can I Experience This Even If I Am Exhausted? Yes. Note that your own exhaustion does not count, though. For Quest Card 515 And 520, Do I Have To That Many Monsters Total Or That Many Of Each Monster Listed? For Quest Card 517, What Counts As Different Monster Types? Each monster stat card (the large square ones) depicts a different monster type. So, for instance, Inox Guards and Bandit Guards are two different monster types and each different boss is a different monster type. Do Random Scenarios Count For Quest Card 518? For Quest Card 519, Can I Lose Progress For This If I Lose Check Marks Through Events? Do I Gain Progress If I Gain Check Marks Through Events Or Bonuses Other Than Battle Goals? No, only battle goals count as progress towards this quest. It may be necessary to track this separately in the notes section. What Is The Exact Order Of My Choices At The Beginning Of A Scenario In Terms Of Battle Goals, Ability Cards, And Equipped Items? The first thing you should do when starting a scenario (after going through a Road Event when applicable), is look in the scenario book to get the map tiles set up, all the monsters you will be fighting prepared, and apply any negative scenario effects. Next, you should deal battle goals and choose one. After choosing your battle goals, then you can decided which items you would like to equip from the ones you own (adding in -1 cards to you attack modifier deck when applicable) and which ability cards you would like to start with from the pool of those you have available to you. If I Am Forced To Discard Cards Because Of An Event, When Does That Happen? Even though events happen before setting up the scenario, you should wait until you've selected your hand of cards to decide which ones to discard. Does Consuming Items During A Road Event Make Them Unavailable During The Scenario? If I Have A Perk That Lets Me Ignore Scenario Effects, Can I Ignore The Negative Effects Of Event Cards? No. You can only ignore the specific effects outlined in scenarios as scenario effects. These will be listed in the special rules of a scenario and have the format of "Do such and such as a scenario effect". What Damaging Effects Are Modified By Attack Modifier Cards? Only attacks (specified by the "Attack" keyword) are modified by attack modifier cards. Traps, hazardous terrain, retaliate, wound, and any "suffer X damage" text do not cause attack modifier cards to be drawn. Are The Same Differentiations Used When Mitigating "damage From An Attack" Versus A "source Of Damage?"? Yes, when something reduces damage from an attack (namely, Shield), it is specifically referring to a figure making an "Attack" and flipping over an attack modifier card. If you are reducing or negating a "source of damage", that can be anything: attacks, traps, hazardous terrain, retaliate, wound, suffering damage from choosing a different card to lose when short resting, or any other "suffer X damage" text. Can You Explain The Difference Between An Unoccupied Hex And An Empty Hex? An unoccupied hex has no figures (monsters, characters or character summons) present. An empty hex has no figures, tokens (money or otherwise), or overlay tiles of any kind (except corridors, open doors, and pressure plates) present. Can I Or One Of My Allies Spring A Trap That I Lay? Can Monsters Spring Their Own Traps? Yes, traps have no memory once you place them. They become hazards for everyone. If I Lay A Trap On An Open Door, And Then The Door Closes Because Of A Scenario Rule, What Happens To The Trap? It is removed from the board. What Exactly Is Considered A Wall? The edge of any map tile and the entire area of any partial hex along the edge are considered walls unless they are covered by a corridor tile. Doors are also considered walls when they are closed. Where the edge of a complete hex on a map tile comes up right to the edge of the tile, there is a dark border to remind you that a wall exists at that edge, though it does not technically begin (for cases of line-of-sight) until the edge. If two map tiles are set next to each other such that these dark edges line up (i.e. the border of the first and second room of the first scenario), the wall is considered to still be there as a one-dimensional line. If An Enemy Is On The Other Side Of This One-dimensional Wall Line From Me, Can I Hit Him With A Melee Attack? No. All range, even range 1 melee attacks, can't be counted through walls. In fact, for all intents and purposes (including looting), these two hexes are not adjacent and considered two hexes apart. In Cases Of Ambiguity Where Players Decide The Outcome, How Should The Players Decide? Should They Do What Is Best For Themselves Or Worst For Themselves? It is up to you. That is why you are deciding. It is assumed that you would decide whatever is best for you, but, again, it is up to you. If A Character Becomes Exhausted, And Then I Open A Door To A New Room, Does The Room Populate Based On The Non-exhausted Player Count, Or The Original Player Count? The player count that you started the scenario with. If My Leading Card Is Revealed At The Start Of A Round, When Exactly Is My Second Card Revealed? They are both revealed at the start of the round, just put your leading card on top. Once everyone has chosen their cards and revealed them, both of each player's cards are open information. What Is The Round Tracker For? Do I Need To Complete All Scenarios Within 12 Turns? No, the round tracker is only for specific scenarios. Unless the scenario has a specific reason for having you track rounds, don't worry about it. If I Am Exhausted During The Scenario, But It Is Still Successfully Completed, Is There Any Penalty For Being Exhausted? No, you earn everything that you would have earned if you hadn't become exhausted: completed battle goals, tallied money and experience, bonus completion experience, any rewards in the scenario book granted for completing the scenario like bonus gold or experience. Does Becoming Exhausted From Lack Of Cards Affect My Hit Points In Any Way For The Purposes Of The "fast Healer" And "masochist" Battle Goals? No, you can still achieve those battle goals after being exhausted if your hit points were in the correct range when you were exhausted. Do I Regain All My Hit Points Once A Scenario Is Finished? Do Bless And Curse Cards Stay In My Deck Once A Scenario Is Over? No, these and any -1 cards with a star in the corner should be removed from your deck at the end of a scenario. Is There A Purpose To The Bless And Curse Punch Board Tokens? I Know That If I Run Out Of Standees For A Monster, No More Are Placed, But What If I Run Out Of Bases? Try to find a suitable replacement. Standee bases shouldn't limit monster numbers. How does failing a scenario interact with the permanent death variant? With the permanent death variant, whenever a scenario is failed through any condition, the scenario doesn't end until the end of the round in which it was failed. At this time, if any of the characters are still alive (possibly exhausted but not dead), then they would still survive. Is It Possible To Prematurely Fail A Scenario To Avoid Death Or Wasting Time? Not technically, no, but if there are no monsters on the board and no more will be placed on the board without player action, then all players would be free to play out however many rounds it takes to exhaust themselves without danger. If all players agree, you can save yourself the time and call the scenario failed early. What Is The Red Starburst Symbol Next To Traps On The Monster Cards From The Random Dungeon Deck? This symbol indicates the trap is a damage trap. What Happens If I Run Out Of Condition Tokens? Condition tokens are not meant to limit their total usage of the condition (unlike Curse and Bless). Use another token or make a note to keep track. As a general rule, if an item adds some effect or bonus to your attack, you must decide to use it before attack modifier cards are drawn. Equipped items are active from the beginning of the scenario, such that if an item reacts to an enemies actions, it can do so immediately. Item cards with circles to track multiple uses act exactly like persistent ability cards, in that if the situation applies, you must use the item in reaction and lose a charge. Additionally, it should be noted that if the card has a spent icon in the lower right corner, it is not technically spent until all charges have been lost, and so cannot be refreshed through resting or other abilities until all charges have been used. If an item card does not have circles to track multiple uses, then you can decide when to use it - it is not mandatory. If an item says "Heal X damage", this is functionally equivalent to "Heal X, Self". It interacts with wound and poison like any other heal ability.